I am going to participate in a 7km walk. This may not seem a remarkable statement, but coming from the original couch potato it really is! I grew up not really understanding the value of physical exercise. I suffered from asthma and breathing difficulties and although I realise now these were just excuses. I simply didn’t get exercise. My hand eye co-ordination wasn’t good so I would regularly be in the group of the last to be picked for games and I think that this contributed to the belief that I wasn’t sporty and therefore not entitled to be fit. There is a big difference between being sporty and being fit. I have really only discovered how good it feels to be fit in the last 5 years. I bought my first pair of trainers, and took the first steps towards a healthier future. I have been walking for a while now, and always feel a bit envious when looking at the Facebook posts where people have completed 5km and 10km walks and runs. I promised myself that I would book my first 5km race this year. I am going to do it – I will be fit enough! 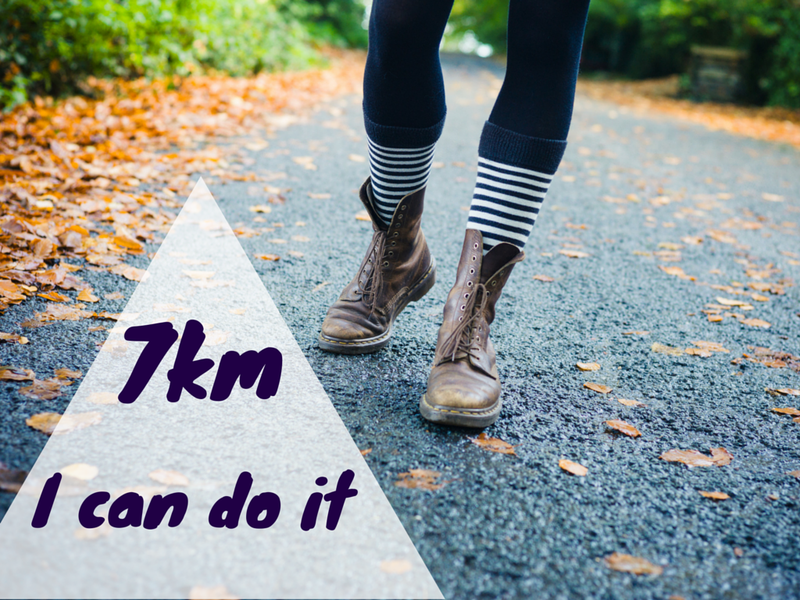 I was sitting up at 7 in the morning last Sunday just wondering what I could do to give my life more direction, what goals I needed to set and I came across a link for a 7km (2km longer than a 5km) walk, right here in the heart of Galway. Do it! Eeek! I did – I pressed the button and said yes. So this is how I will be spending Valentine’s day this year. 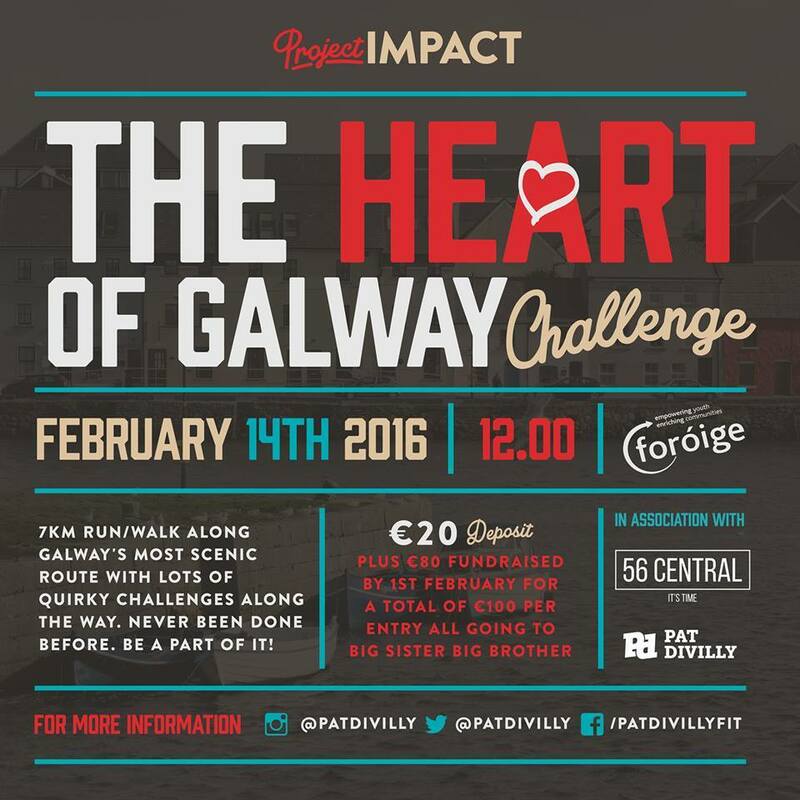 The walk/run (definitely walk in my case) is actually called the Heart of Galway Challenge is part of Project Impact. This initiative is presented in association with Pat Divilly and 56 Central – my favourite restaurant in Galway run by the fabulous Gill Carroll (I interviewed Gill last year). The walk takes place along Galway’s most scenic route with lots of quirky challenges promised along the way. The money raised will be going to the Big Brother Big Sister charity – a fabulous youth mentoring programme. I really like the idea behind this walk. 100% of the money raised will go to the charity with the specific aim of sending 100 teenagers and their mentors to an adventure centre. I honestly wish that I had discovered the joy of fitness earlier in my life. It is never too late though, and I am committed to moving forward with my own fitness journey. I will be honest in saying that I am a little apprehensive about the walk, but I am determined to do it. Thank you those who have already offered to sponsor me.